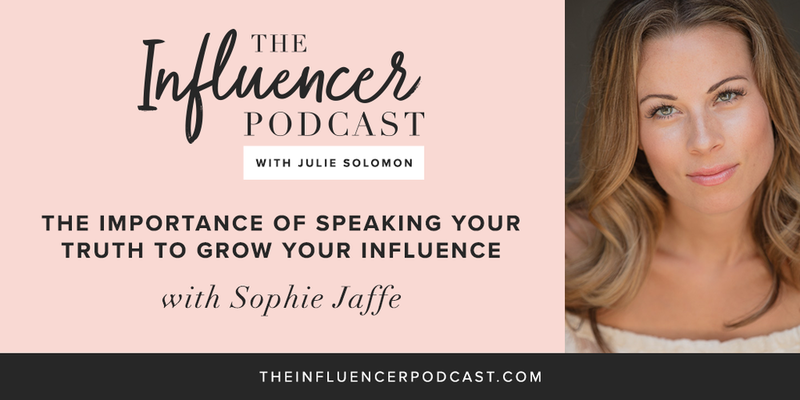 This week Sophie Jaffe, founder of Philosophie talks about the importance of connection, self-care and speaking your truth within your brand and blog. I want to hear from more of you who listen each week so make sure to subscribe to The Influencer Podcast on iTunes and give a review, so I can highlight your review in an upcoming episode. Make sure to screenshot this episode on your phone and tag me on your IG Story @JulsSolomon and #TheInfluencerPodcast to let me know you are joining in today, as you know I love to share those screenshots on my story too!